There aren’t too many things more important than billing your clients. GrowthForce ensures your invoices get out and are paid in a timely fashion with our outsourced billing and accounts receivable services. We can invoice your customers, or if you prefer, you can send out your own invoices. With our outsourced billing service we make deposits, track payables, oversee collections, review and prepare reports, record daily sales and reconcile with POS systems. When you use our lock box services, you’ll get the cash right in the bank. By using a major money center bank, we can scan the check so you get faster availability of your funds. Businesses are leaving behind their former 13-step process for GrowthForce’s four-step bill payment system. With at least two levels of role-based permissions for the approval and payment processes, our typical client is logging into their portal once weekly to review any bills awaiting payment. Each bill contains a clickable link to attached documents for further explanation. After selecting the bill for payment, the information syncs with QuickBooks and their bank account, so there’s no need for double entry or risk of human error. Once approved, the dedicated user pays the bills online. In addition to its convenient anytime, anywhere access, our efficient accounts payable workflow means your bills are entered only once, eliminating the need for double entry or risk for human error. Once paid, the vendor, bill, payment, check number and funds transfer amounts are then synced between your QuickBooks file and bank account, GrowthForce introduces additional efficiencies, such as requiring all vendors to submit electronic invoicing and the submission of W-9 form by every contract worker prior to first payment. A fully paperless process decreases paper spend and eliminates the need for paper document storage, so you can expand your business without upgrading to a larger system or bigger space. You’ll benefit from the added protection that comes with our dedicated support call center, limited role-based permissions, scanned images with every transaction, procurement and accounts receivable review – and no paper checks. 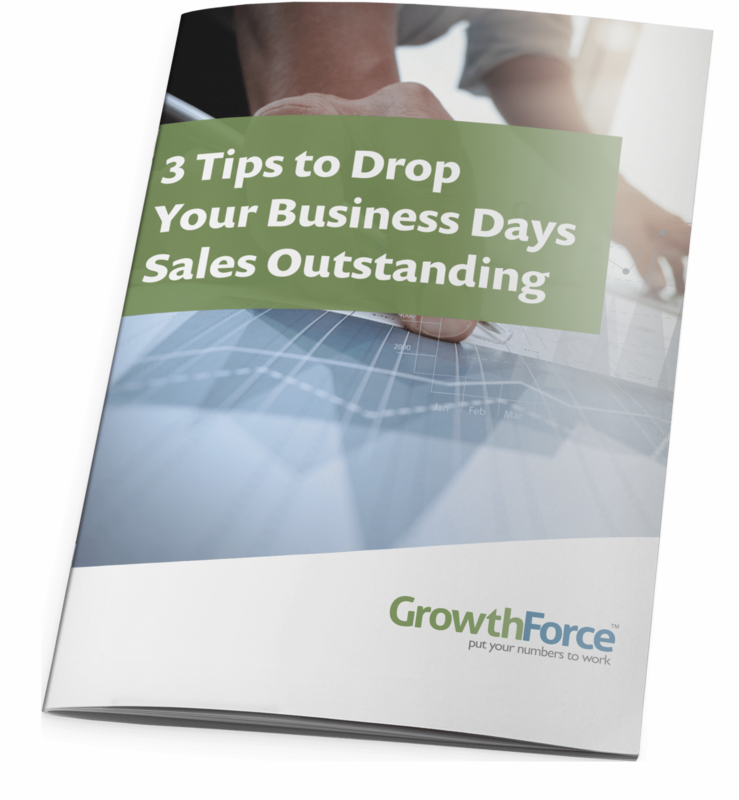 Help your service business drop its Daily Sales Outstanding (DSO) and improve cash flow.